From the minute you pass through the gates of Sun City Peachtree, you’ve entered a welcoming, active lifestyle community. The 55+ community offers the best of resort-style living, with a fitness facility, clubhouse and golf course, plus dozens of clubs and interest groups. Choose from our collection of ranch-style homes with open floor plans and thoughtful indoor and outdoor living spaces for entertaining. We invite you to visit, but know you may never want to leave. 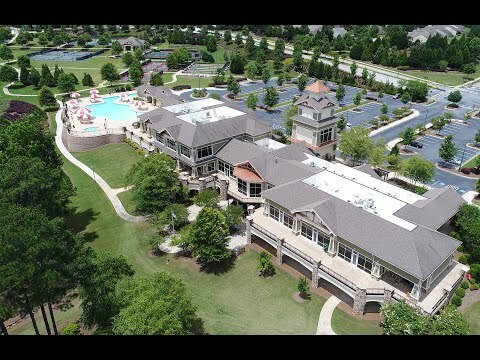 Explore Sun City Peachtree so you can see the beautiful community and resort-style amenities. We believe you’ll like it here. The Azalea Series ranch home designs are efficient and open and incorporate traditional elements into a modern layout designed for how you live. Enjoy an kitchen open to dining and gathering areas. The Dogwood Series ranch home designs feature open concept living spaces with gourmet kitchens and formal dining rooms, perfect for entertaining. The Magnolia Series ranch home are our largest plans featuring large open layouts, spacious owner’s suites and formal and flexible spaces. Enjoy private guest suites and plenty of storage space.